Garlic (scientific name Allium sativum) for thousands of years, is believed to have medicinal properties. Ancient civilization was aware of the superb health benefits of garlic and even prayed to it. It was believed by our ancestors that hanging a bunch of garlic on the house main door, can even keep evil spirits away. Garlic is therefore hailed for years as a “wonderful traditional medicine”. Garlic is used for food flavoring and has long been a common seasoning worldwide. Belonging to the onion family, garlic is packed with numerous health benefits. Modern science also confirms the garlic’s natural curing properties for various ailments faced by mankind. What makes garlic a potent medicine? Garlic is a plant belonging to the Allium(onion) family. The credit goes to allicin- a compound found in the garlic. When u cut or bite a raw ginger allicin is produced which is the main reason for the pungent smell of garlic. Allicin has antibacterial, antifungal, antiviral properties and beneficial to a number of health conditions. Garlic is highly nutritious and low in calories. It is very rich in vitamin C, vitamin B6, manganese and also contains trace amounts of other nutrients. Garlic is also a powerful antioxidant. You will be astonished to know the health benefits of eating a raw garlic. 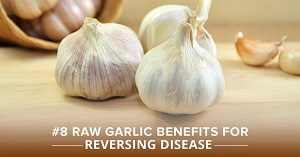 A bulb of raw garlic is loaded with medicinal properties and eating this garlic might be very effective, natural way to cure health conditions. Cardiovascular diseases are the world’s biggest killers. Garlic is a proven antioxidant which reduces the bad cholesterol levels(LDL)in your body. Chewing raw garlic or adding garlic to the food can be the best way to reduce cholesterol levels in heart patients. Thus garlic reduces the cholesterol build up in the arteries and reduces the risk of heart diseases. Both animal and human studies revealed that consumption of garlic protects the heart and can reverse heart disease. Chewing raw garlic daily will maintain your cholesterol levels and reduces the risk of atherosclerosis. Garlic contains Anti-carcinogenic properties which fight free radicals that cause the cell to multiply and inhibits the growth of malignant cancer cells. Animal studies show that adding garlic compounds, the size of the tumors begin to shrink. Allium vegetables including garlic and onion containing active sulfur compounds can effectively hinder the stages of cancer formation. Garlic fights against all types of cancer particularly its effective in preventing colon, breast, prostate cancer. It also strengthens your immunity for the body to fight against cancers. It’s time to purify your blood and get glowing skin! The root cause of acne, pimples, blemishes and other skin problems is not purifying your blood from inside. Consume 2 cloves of raw garlic along with warm water every day. You will notice yourself flawless as garlic can flush toxins from your body. Moreover, it cleanses your entire system and garlic can protect against organ damage from heavy metal toxicity. Cold and flu can be annoying, choosing ancient remedies to treat them is the best-known way for all of us. You might have heard from your nanny or mother using garlic from the kitchen for various illness. Taking 2-3 cloves of raw or cooked garlic a day will give you a great relief from common cold and flu. Garlic not only curbs cold but boosts your immunity too. Consuming garlic can prevent and reduce the common sickness of the body. Do you often get cold? Adding garlic to your diet will help you. 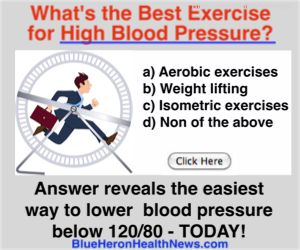 High blood pressure could be fatal if left untreated. Yet another interesting benefit of garlic is, it can control high blood pressure. Studies confirmed that taking aged garlic supplements significantly reduces blood pressure levels. The bioactive compounds in the garlic widen the blood vessels and allowing the blood to pass freely without any pressure imposed. Hence garlic is a great hypertension medication that works wonders. Alzheimer’s disease and dementia affect mental cognitive tasks like memory and reasoning. This disease steals away the ability to think clearly and performing their everyday tasks. This cognitive illness can be cured by the antioxidants found in the garlic and prevent oxidative damage from free radicals. Garlic supplements will increase antioxidant enzymes in humans. The antioxidant properties of garlic reduce cholesterol and blood pressure and in turn inhibits common brain diseases like Alzheimer’s disease and dementia. The number of people suffering from diabetes has been skyrocketing every year. A study of diabetic rats showed that consuming raw garlic daily may help improve insulin sensitivity and thereby reducing the risk of diabetes. Scientists are in steady research to know whether the same benefit occurs in humans too. Adding garlic to your eating regime can regulate your blood sugar levels. Garlic being fully loaded with necessary therapeutic properties, eating garlic improves your health condition thereby increasing human lifespan. Its beneficial effects on important risk factors like heart disease, high blood pressure, cancers, and cholesterol make sense that garlic could help you live a long active healthy life. Garlic has been used as a medicine for more than 7000 years of human civilization. Ancient people believed garlic can protect them from vampires and evil spirits. Garlic was also believed to bring good luck. our ancestors used garlic as an antiseptic for wounds and to prevent infections. Garlic supplements are made from fresh, dried or aged garlic. Black garlic is “caramelized garlic” first used as a food ingredient in Asian cuisine. Put two or three drops of warm garlic oil in the ears to get rid of an earache. Not only our ancestors harnessed the powers of garlic, its healing properties are proven by modern science as well. It should be noted that you can reap most of the benefits from garlic if consumed raw. “A clove of raw garlic a day can keep diseases away”. It’s time to fall in love with this magnificent medicinal herb. Start eating raw garlic or plan to add it to your eating regime. Do you know any other benefits of raw garlic? Please do share with us in the comments below.